To have children, or not to have children at your wedding is ALWAYS a topic of conversation! Some brides love the idea of the little ones joining in the wedding festivities, other brides dream of a child-free adult celebration. But, regardless of your views on children as guests at your event, I think we can all agree that little ones in the bridal party are always adorable. The ring bearer who runs down the aisle, or the flower girl who throws so many petals on the first step, that her basket is empty before she even reaches the aisle! It’s always fun to see what they are going to do and how they are going to react on the big day! A huge trend right now is the little ones…. how they are dressed, what they carry, how unique they can be. I call them “little showstoppers,” because if they are able to make it down the aisle, and look adorable along the way, I promise you they will be a showstopper during your ceremony. Everyone loves the little ones! You’ll hear the “ooohs” and “ahhhs” from the crowd as they make their way down the aisle! Tell me that these cuties didn’t turn every single head as they walked down the aisle! 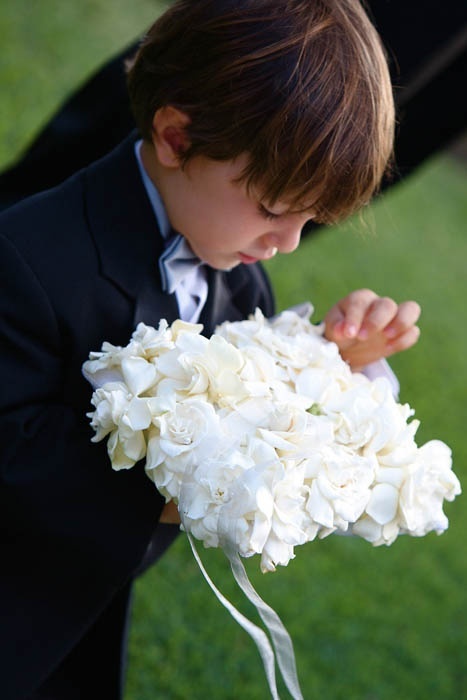 Long gone are the days of a plain white flower girl dress, or a ring bearer who carries just a plain white pillow! There are so many new, fun ways to get the kids excited to be a part of the wedding party, and to tie in your overall wedding theme. 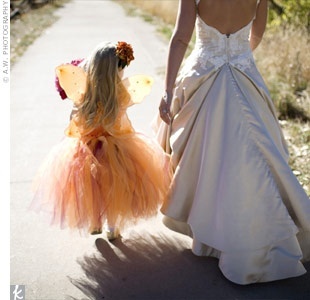 Wanna get the little girls excited to “dress up” in their wedding attire? Allow them to wear wings! 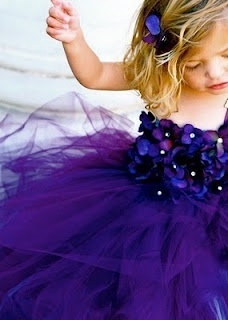 And hey, mom will be thrilled to use the outfit again for a fairy costume around Halloween! Color is a huge thing to think about also! Having a pink and grey wedding? 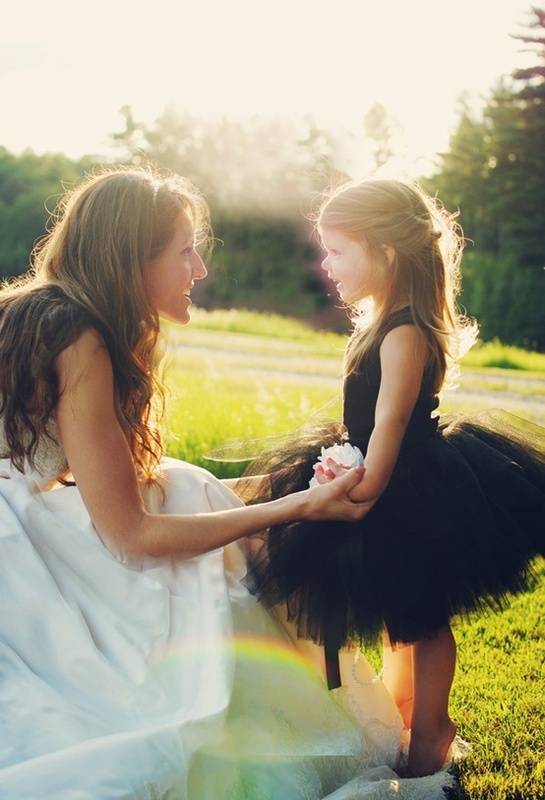 Putting your flower girl in a soft pink dress will make her shine. Want something a little more playful? Flower Girl tutus are huge right now, adding just the right amount of texture to her outfit to make it young and fun for her to wear! Take a look! Dont trust the 3-year-old ring bearer with a pillow with the rings tied on them? 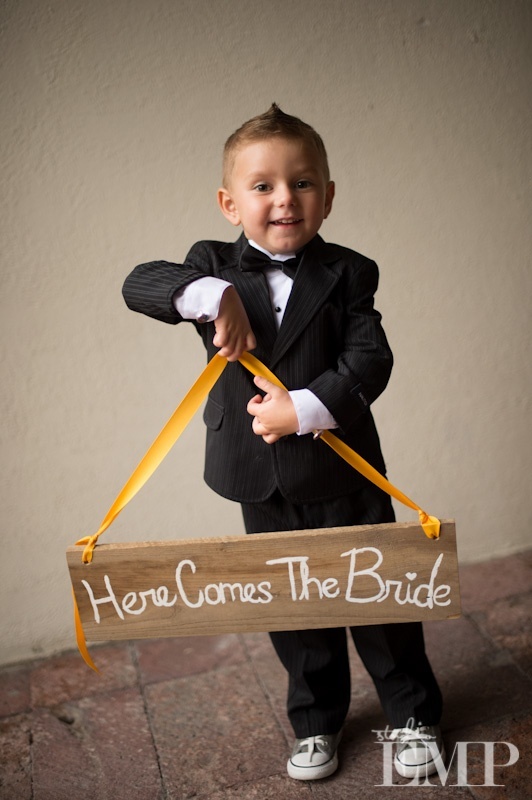 Have him hold an adorable sign down the aisle! The best man can keep the rings safe, while the little guy has his moment! Signage is huge…. 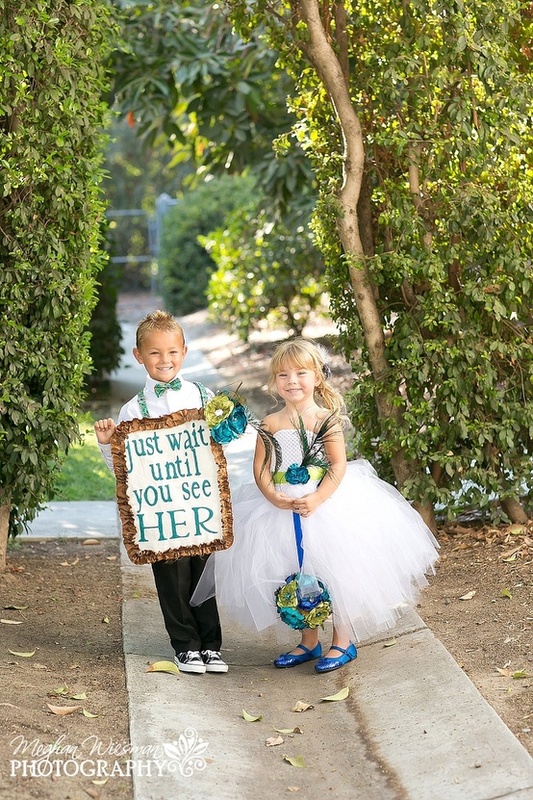 a great way to personalize your wedding and get a fun message to the crowd. Or, if you are set on a pillow, have him hold an amazing floral pillow, or a unique box with the rings inside! So many fun ideas and so many beautiful small touches! 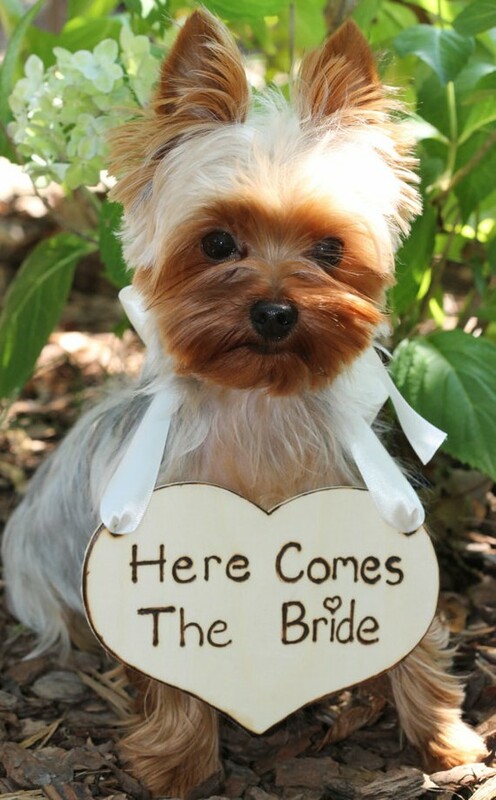 A pet as a ring bearer is always adorable, a great way to incorporate the other member of your family! Have fun incorporating “little” details for the “little” ones on your big day! Next Post 2012 ABC-OC Holiday Gala!